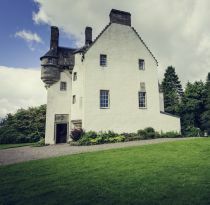 On your wedding day, Tullibole Castle is all yours! We offer a versatile space for small intimate weddings or for larger weddings for up to two hundred guests. You will have the castle to yourselves for the day or weekend, whichever suits! Tullibole Castle provides a stunning backdrop with large extensive grounds suitable for incentive groups and corporate entertaining. 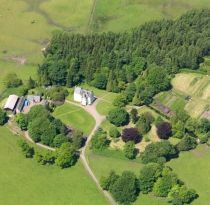 Steeped in family history, Tullibole also boasts a 150-yard moat and a maze for treasure hunts! We're throwing our doors open to everyone looking for a wedding venue on Saturday 8th and Sunday 9th September. 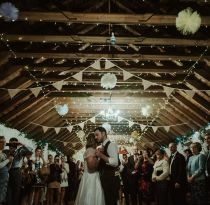 Tullibole itself, the Carriage House and grounds will be dressed for a wedding so it's a fantastic opportunity to see everything in situ. Please note we only have availability from 2020 onwards.